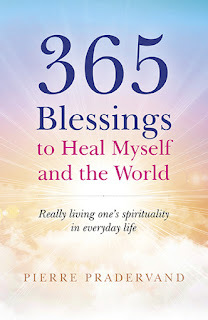 Full Title: 365 Blessings to Heal Myself and the World: Really Living One's Spirituality in Everyday Life. What began as a for some, life-crippling moment of losing one's job started a domino-effect of positivity for Pradervand. That alone, makes for a beautiful premise. You cannot fathom the good that you can do and how much this book can change your life. It has already helped us in immeasurable ways. We are going to milk 365 Blessings for all it is worth. 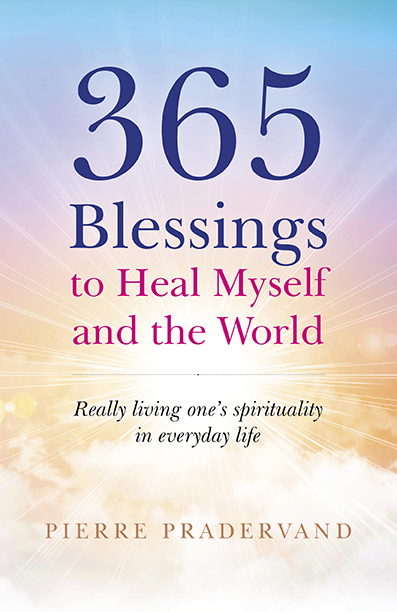 We urge buyers of 365 Blessings to read the introduction. It is imperative for the work that you will be doing in the book. Seriously, it can change you. Pierre Pradervand studied at the universities of Geneva, Bern and at the University of Michigan, Ann Arbor before receiving a Doctorate in sociology from La Sorbonne University.